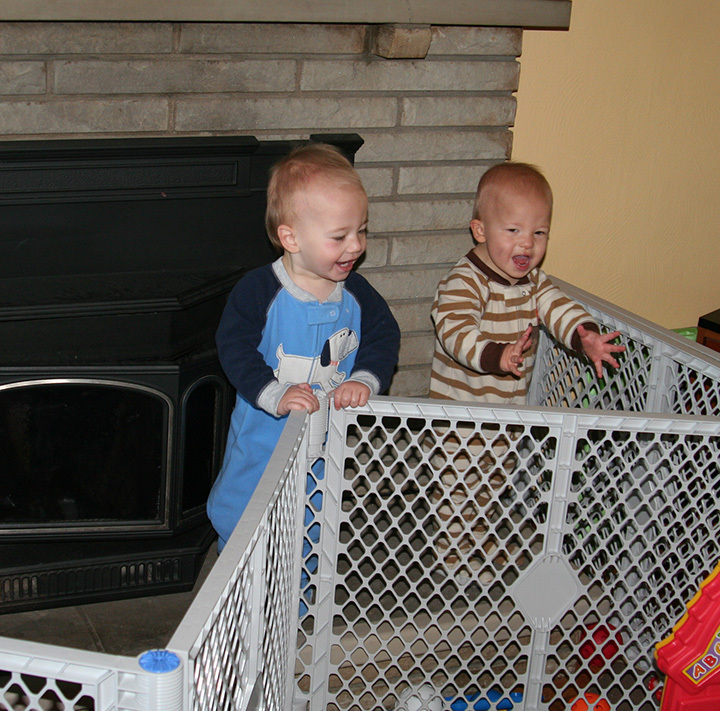 Baby-proofing is easy – add some padding to table corners, block off steps, use outlet covers, etc. Toddler proofing is almost impossible, especially when there are two of them to work together – they are always going to find some way to get into trouble. I rearranged some furniture in the living room last week and I moved the piece of furniture that was blocking one end of the fireplace gate. 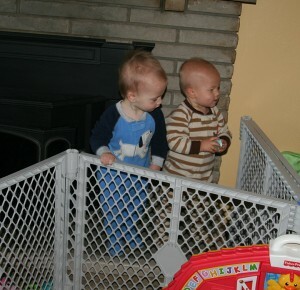 It didn’t take them long to realize that if they push really hard on one side of the gate (it is not secured to the wall), they can squeeze between the end of the gate and the wall. 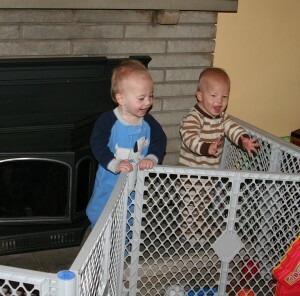 The fireplace is not in use now, but they know how to open it – nothing good can come of those two and fireplace ashes. I blocked off their entrance this morning and Ruslan spent the better part of an hour trying to get through – screaming at me the whole time. So determined and so mad that I had taken away his fun.